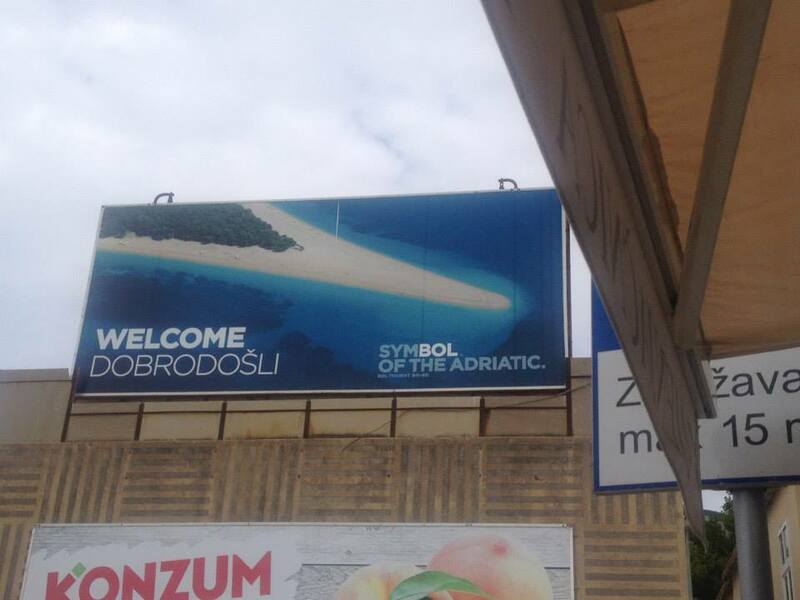 Tourists Guide to the World: Bol, Croatia Edition – The Small Things. 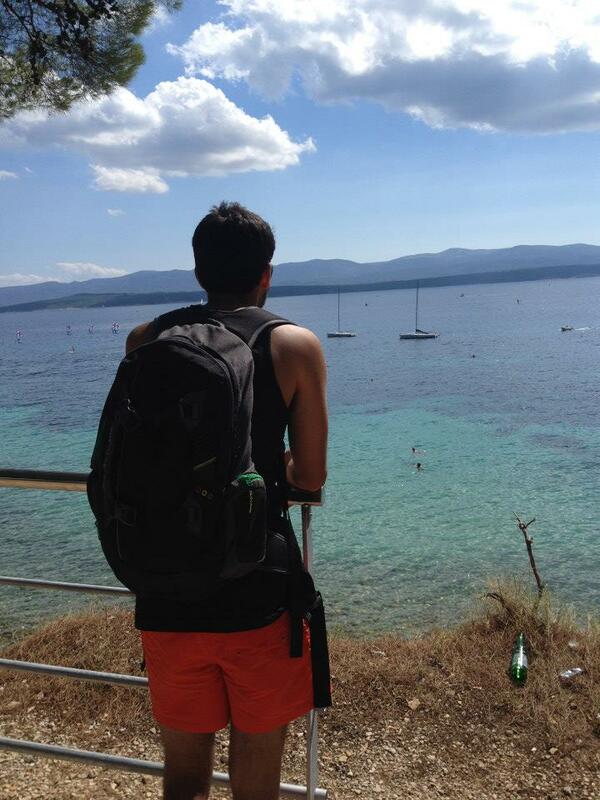 Last summer while I was in Italy we decided to take a short stop in Croatia. A vacation within a vacation, if you will. We were staying on one of these many islands. 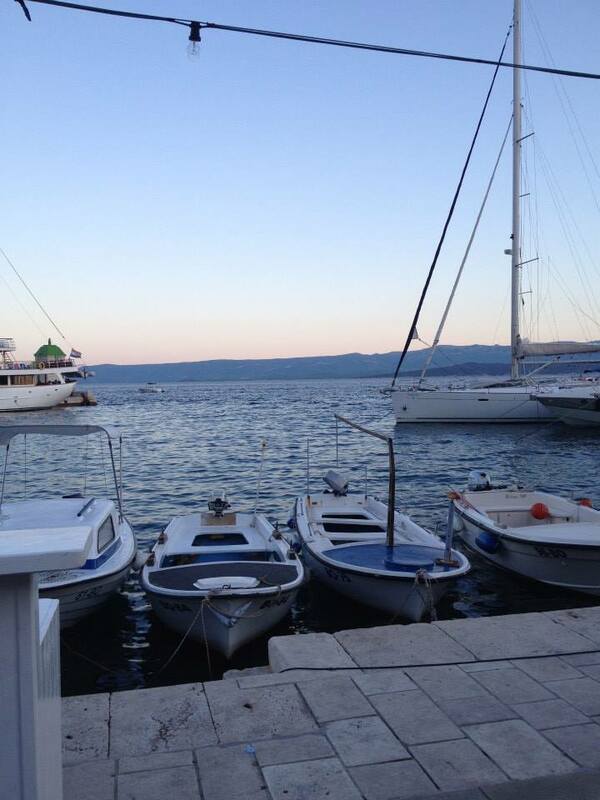 The Island of Brac. Getting there was a bit of a mission though. First, we flew from Rome into Split. Then we went from the airport to the harbor, which was about an hour away by bus. Once we got to the harbor we had some time to kill as it was about 4 hours until the next departure to Brac. We wandered around, ate some food and basked in the Mediterranean sunshine. Eventually we were able to board the ferry and experience what we thought was the final leg of our journey. The ferry took us directly to the city we were staying in, a beach town called Bol. We had rented a small apartment for two nights and three days for this visit. The instructions indicated that we were to check in at the welcome desk upon arrival. The booking came with a map, it all seemed pretty straight forward. See, when you get off the ferry there are no signs, no kiosks, nothing. And the map we had was not particularly accurate. The way we read it we assumed that the check in place was north east to where we were. So we followed the roads up and over, up and over, up and over. Then we realized we were not at all in the right place. So we walked south west. Down and over, down and over, down and over. Keep in mind we did all of this with luggage. And Bol is not flat, in fact it seemed like the whole city sat on the side of a very steep hill. After an hour and a half of sweaty wandering we found the check in! As it turns out if we had walked left instead of right off the harbor we would have found it pretty quickly… Live and learn. Once we were settled into our apartment it was dinner time. We had an amazing sea food dinner at a restaurant near by. I wish I could remember what it was called. The mussels were cooked in a white wine sauce and they were unbelievable! If you love sea food, visit Croatia. The next two days were spent on the beach. Bol is super cool because the beach is shaped like a point. Check out the picture below to see what I mean. Another really neat thing about the beach in Bol. There is no sand, it is all little pebbles, smoothed over by the sea water. If you bunched up the pebbles properly under your towel you could make a very comfortable chair. Walking on the pebbles was a tad challenging but mostly because they pebbles got so hot in the sun. By the end of the second day I was a pebble walking pro. Lucas and I had planned to check out the night life but I was running a fever so that didn’t happen. 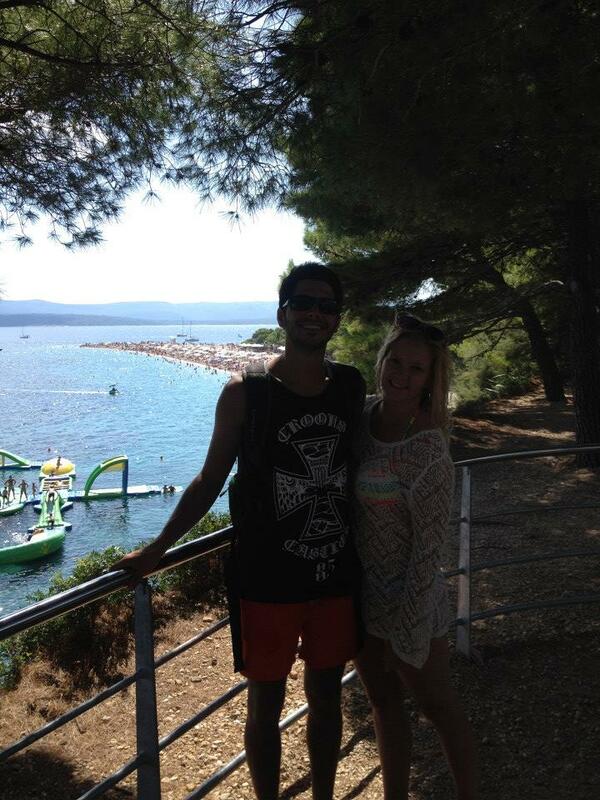 But my sister also visited Croatia last summer. She went to a different island and enjoyed a lot of dancing and pool partying. So whether or not your looking for a relaxing get-away or a raging beach adventure. 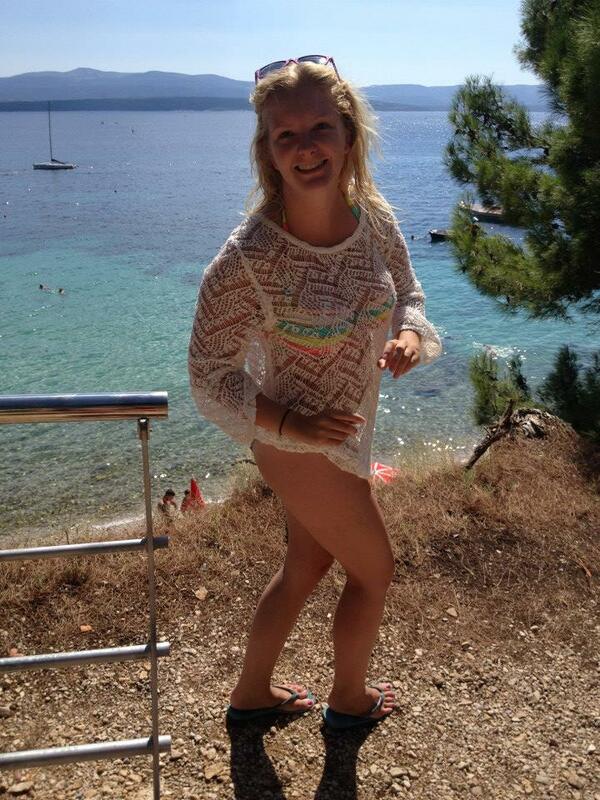 I would definitely recommend Croatia. Thanks, Millie! It was definitely a challenge, the map was completely useless, but I think an enjoyable part of the adventure. unintentionally, I was able to see some fantastic views of the city! And the pebbles were so much better than sand! After all, sand in your swim suit is the worst! Thank you! He is actually super camera shy but I don’t give him much say in the matter. hahah. Thank you so much for reading!